These Cinematic Guides are the essential companion for fans of the HARRY POTTER™ films! These hardcover guidebooks feature your favourite scenes and quotes from all eight movies! The Essential Film Companion for HARRY POTTER™! On his eleventh birthday, Harry Potter received the best gift he could possibly imagine: learning he is a wizard who’s been invited to attend Hogwarts School of Witchcraft and Wizardry! Relive Harry’s thrilling adventure through all eight HARRY POTTER™ films: from his first trip to Diagon Alley to his epic battles with the Dark Lord, Voldemort. Packed with memorable quotes and photos, this book has everything you need to know about the Boy Who Lived. The Essential Film Companion for HERMIONE GRANGER™! Hermione Granger hardly ever breaks the rules—unless, of course, she needs to in order to rescue her friends and fight the Dark Lord, Voldemort. Throughout all eight HARRY POTTER™ films, Hermione shows her wisdom and daring on her adventures with best friends Harry and Ron, secretly brewing Polyjuice Potion, rescuing Sirius Black with a Time-Turner, and creating Dumbledore’s Army. Revisit these moments and more from the girl who proved that Muggle-borns can be the most skilled witches and wizards of all. The Essential Film Companion for RON WEASLEY™! Relive the magical moments when Ron Weasley proved just as courageous and loyal as his famous best friend, Harry Potter—whether he was facing the Slytherin Quidditch team or a forest of scary giant spiders! This collection of photographs and quotes from all eight HARRY POTTER™ films takes a closer look at Ron’s life, including his time at Hogwarts, family and friends, and dangerous battles against the Dark Lord, Voldemort. The Essential Film Companion for ALBUS DUMBLEDORE™! Albus Dumbledore founded the Order of the Phoenix, guided Harry Potter through his hunt for Horcruxes, and was known as the only wizard the Dark Lord, Voldemort, ever feared. This treasured collection of photographs, quotes, and memories from all eight HARRY POTTER™ films celebrates the moments that made Professor Albus Dumbledore an extraordinary wizard, and one of the greatest headmasters ever to teach at Hogwarts School of Witchcraft and Wizardry. Relive every epic moment from all eight classic HARRY POTTER™ films. 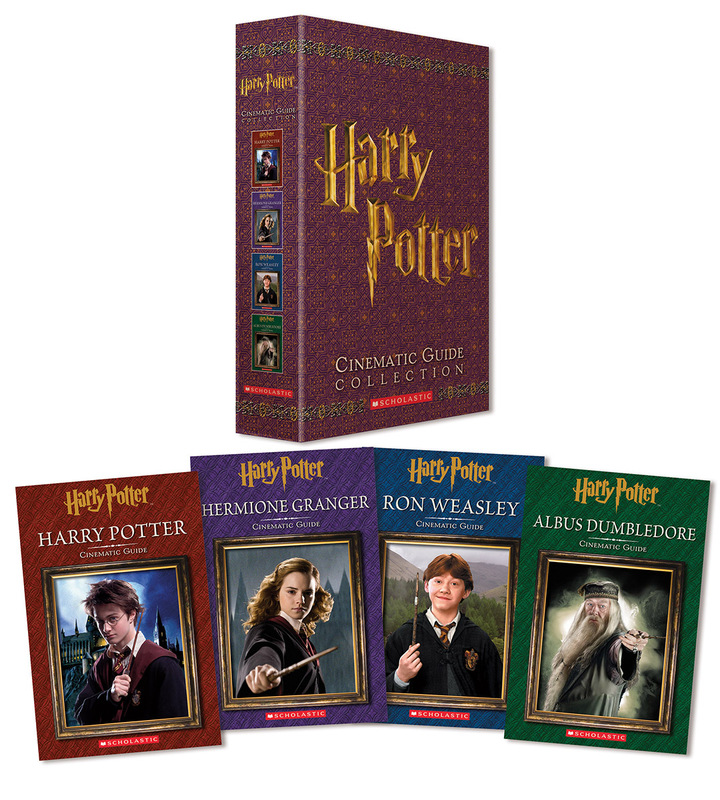 This collection of Cinematic Guides features HARRY POTTER™, HERMIONE GRANGER™, RON WEASLEY™, and ALBUS DUMBLEDORE™.